Looking for reliable and affordable Computer Repairs, Services and Help in the Hobart area? Geekmobile is a Friendly, experienced Computer Repair company operating at Hobart. Our Technicians are of the highest standard and we fully cover Hobart and the surrounding suburbs including Rose Bay, Howrah, Geilston Bay, Sandy Bay, Glenorchy, Glebe, West Hobart, Tranmere, South Hobart, Rosny Park, Mount Nelson, Montrose, Lutana, Lower Sandy Bay, Lenah Valley, West Moonah, Warrane, Rosny, Derwent Park, Rosetta, North Hobart, Bellerive, University Of Tasmania, Dynnyrne, Battery Point, Bathurst Street Po and Tolmans Hill just to name a few! Hobart is serviced by the techs based in these suburbs and surrounding areas: Joe (Hobart), Michel (Hobart) and Rod (North Hobart). 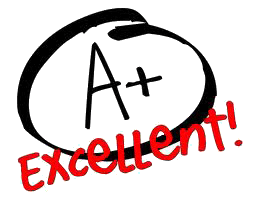 "Excellent response time to request for service. Philip took the time to wait for computer to produce the problem and imparted knowledge during this time."